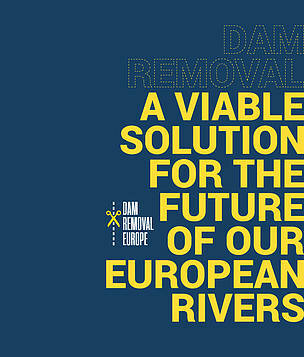 Dam Removal Europe is a coalition of NGOs committed to giving European rivers more space. With only 40 percent of Europe’s waterways in good condition, a new study published today calls for tens of thousands of redundant dams and other barriers to be removed to help restore rivers and lakes – boosting wildlife populations and benefiting communities across the continent. Dam Removal: A viable solution for the future of our European Rivers stresses that the density of dams, weirs and locks in Europe is far higher than previously suspected, with salmon, eel, sturgeon and other migratory fish encountering obstacles every kilometre on average. Previously, only dams higher than 10 metres were counted, but these represent less than 3 percent of all river barriers. "Rivers are nature's lifeline, and disrupting them comes at a high price. All across Europe, rivers are in a terrible state, and dams are some of the biggest culprits." said Andreas Baumüller, Head of Natural Resources at WWF's European Policy Office. "In Europe, we have thousands of old and obsolete dams which were probably built with good intentions. But, today, we know these were a mistake. And we urge our governments to own up to their mistakes, remove these dams and, in doing so, stay true to the spirit of the EU’s Water Framework Directive by bringing life back to our rivers." The report estimated that in France, Spain, Poland and the UK alone, there are up to 30,000 mainly small dams which are now obsolete. No comprehensive study currently exists on the total number of obsolete dams in Europe, but this figure is likely to be much higher. While these barriers provide no benefits to communities, they still prevent rivers from flowing freely, contributing to the disappearance of freshwater species, particularly migratory fish that can no longer reach their spawning grounds. And, of course, this also affects birds feeding on fish as well as many other animals. 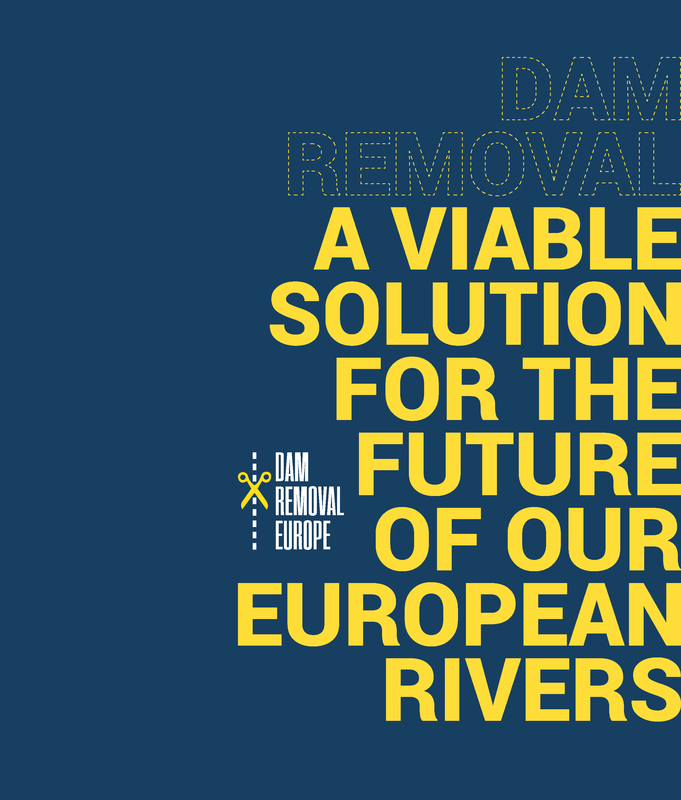 The report calls for governments across Europe to start removing these redundant dams, which will breathe life back into river systems and provide new economic opportunities for local economies. It will also enable Member States to meet their commitments under the EU Water Framework Directive, under which all countries must achieve good status for the majority of their water bodies, including rivers, lakes and wetlands, by 2027 at the absolute latest. “Nature can recover remarkably fast when given the chance: dam removals in Europe have seen fish immediately returning to rivers for the first time in decades and existing species multiplying rapidly,” said Peter Gough from World Fish Migration Foundation, one of the authors of the report. “As the fish return so do fish-eating birds and a wealth of other species dependent on healthy river systems and wetlands, as do fishers and birdwatchers, giving rural areas a new lease of life”. Dam removals have slowly started to pick up the pace in Europe, and the Water Framework Directive’s ambitious goals, timeline, and visionary approach to water management have been instrumental. The report lists a series of case studies that illustrate the remarkably rapid impact of dam removals. In the Netherlands, after two weirs were removed from the ‘Boven Slinge’ stream in 2015, the number of fish species in the newly connected stretches increased by an average of 30 percent and the number of individual animals increased by 148 percent. In nearby Denmark, the removal of a dam on the Gudenå river saw trout numbers upstream rise from zero to 4-5 per m2. Meanwhile, the removal of the Maisons-Rouges dam in France in 1999 has resulted in a spectacular surge in fish numbers with sea lamprey numbers soaring from barely any to over 41,000 within eight years. The report’s launch comes ahead of the EU’s public consultation of the Water Framework Directive, which is part of its standard review, and will be held later this year. Amongst other things, it calls for dam removals to be integrated into Member States’ River Basin Management Plans, for the involvement of local communities in dam removal, and alternatives to new dams to be seriously considered. Dam Removal Europe (DRE) is a coalition of 5 organizations: WWF, World Fish Migration Foundation, European Rivers Network, The Rivers Trust and Rewilding Europe. DRE wants to create a community of people, organizations and governments that are committed to giving European rivers more space. Because these are beautiful and full of possibilities. DRE does this by removing redundant small and large dams from the European rivers with local partners. Together, we ensure that European rivers can flow freely for humans and animals.